DermaSpark is the exclusive distributor of Pollogen technologies in Canada and trains doctors and skin care professionals to the highest standards to give you the best results! Pollogen products sold by other companies may not be authentic or meet our quality standards. 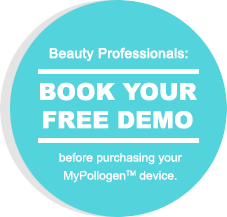 Only clinics that are listed on www.MyPollogen.com are using certified equipment and are qualified to provide Pollogen treatments in Canada.